PBI will give NarpsUK members a massive discount of 25% off their rates, plus they are also giving NarpsUK members free Non-Negligent Cover (Accidental Injury to animals) and Travel Costs Financial Loss Cover (these are normal charged at an additional £21.20). All NarpsUk members will have a free subscription to PBI's Online Directory and a free Insurance Car Sticker so you customers know they are fully protected. As our name suggests, Pet Business Insurance specialises in providing insurance cover for all types of pet businesses. We focus on the needs of small and medium sized businesses that provide GROOMING, ANIMAL TRAINING, PET SITTING, DOG WALKING, BOARDING and other closely related pet and animal services. Pet Business Insurance works tirelessly to provide high quality customer care to each of our clients and provide UK businesses in the pet and animal sector, insurance to suit their specific needs. Every member of the Pet Business Insurance team has many years insurance experience and has constant training to keep improving their understanding of the industry. 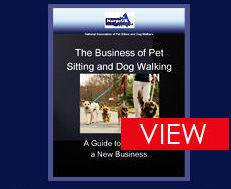 We don't try to be something we're not, and we are very good at what we do - PET BUSINESS INSURANCE. We are a specialist insurance intermediary with security from the national organisation Amlin UK Limited (a service company wholly owned by Amlin Underwriting Limited) exclusively on behalf of Lloyd's Syndicate 2001 managed by Amlin Underwriting Limited. We are authorised and regulated by the Financial Conduct Authority (FCA) and are a division of LRMS, the leading authority in animal insurance around the World. We have worked closely with NARPS UK to provide it's members with an exclusive package with massively discounted prices. Tailored quotes can be provided adding extra helpers and employees. Cover is restricted to working hours only and excludes sickness. We also have the facility to offer your members cover for Grooming and Training. Conditions: The above terms exclude any work with horses or livestock. It is for pets only, Non D.W.A.A. & DDA Cover for Horse Sitting and Livestock can be included but you would need to refer them to us first. Click on the following link for a NarpsUK member online quote, if this link is used and insurance is purchased by a non-member the insurance will not be valid if a claim is made. Why choose Pet Business Insurance?